Based upon the creature depicted in the 1953 cinematic adaptation of "War of the Worlds". 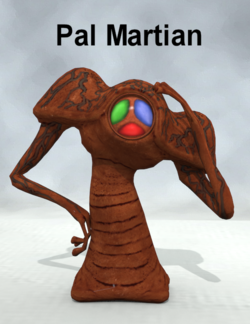 Pal Martian is a figure and is a cosplay resource. This page was last edited on 6 October 2018, at 16:12.